John and the team at Peak Strategies have been working closely with WA Pharmacy Guild for over the past year with the Future Pharmacy Program. John has written content for their blog and also been a guest speaker over at workshops. A guest article on the Australian Journal of Pharmacy website. The article is titled Future Bound by John Thornett. Another guest article on the Australian Journal of Pharmacy website. This time written by our Client Communications Manager, Sarah Rendell. A marketing article featured on the Australian Journal of Pharmacy website, written by our Client Communications Manager Sarah Rendell. An article about what makes a good pharmacy owner featured on the Australian Journal of Pharmacy website. Written by our Director John Thornett. A summary of the 2018 Federal Budget written by Senior Chartered Accoutant Victoria Le. Also featured on the Australian Journal of Pharmacy website. John was a guest presenter for the Future Pharmacy Program on the 15th of May. 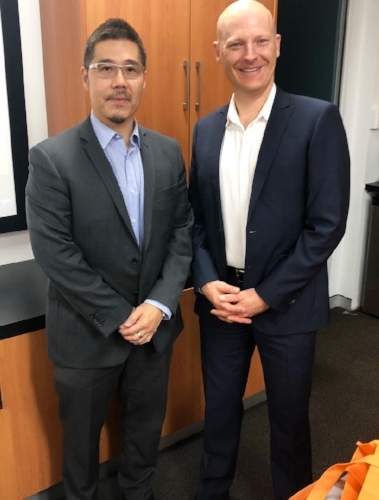 Here is here pictured alongside the other guest presenter John Chew from BankWest.